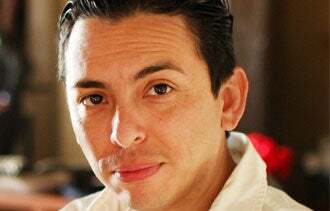 Brian Solis is known to many in the tech scene as a man about town. He's a social media connoisseur, speaker, author and is currently a principal analyst at the research firm, Altimeter Group. While his first book, Engage, covered how brands and businesses can use social media to build communities and support in the online ecosytem, his latest The End of Business As Usual covers the consumer revolution and what industries need to do to "rewire" their business models. 1. Showing up isn't enough. Customers and prospects are busy, connected and interacting with everybody but you today. While creating a presence is a start, it is how you engage with people that attracts them to you. This requires an engagement program -- that is, a plan for using social media to meet goals -- that extends beyond the typical marketing of "follow us on Twitter" or "Like us on Facebook." 2. You can't be everywhere, nor should you. Many entrepreneurs are excited about technology and they overextend themselves because they want to be part of the latest trend. The key is to only be where your customers, prospects and those who influence them engage. 3. Authenticity and transparency are nothing without a connection. The two magical ingredients to a successful social media effort are: authenticity and transparency. The only problem is that they don't really equate to a strategy. Rather, these two traits contribute more to a "digital way" or "guiding light" than they do as a form of effective engagement. Without delivering value, conveying a meaningful mission and vision, or establishing a connect-worthy presence, authenticity and transparency have nothing to reinforce. 4. Talking to people isn't a business strategy. Some people run effective social media programs by listening instead of actually saying anything. But no matter if you converse with customers or not, you must have a purpose before you can engage. They want tangible value and through research, you'll learn what a desirable engagement program actually looks like. Don't get caught up in only replying to brand mentions. Your real opportunity is to also engage and convert those people not already talking about you. 5. Keep your core customers tuned in. Companies believe that uploading a video to Youtube is the key to anything going viral. What they don't know is, 48 Hours of video is uploaded every minute to Youtube. The chance of your video going viral naturally is basically nil. However, with the Old Spice and Evian Rollerbaby examples, they identified all of the potential influencers in their space and reached out to them in advance of and during the video release. They sought help to make sure that the video was shared. Remember though, going viral only counts if it impacts your brand. If it creates lift, leaves an imprint or if it drives action or outcomes, that's when you're going viral.